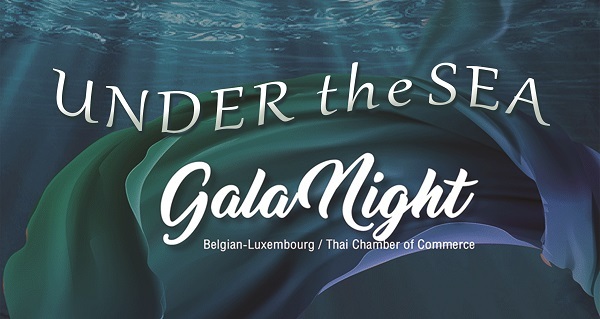 The Belgian-Luxembourg/Thai Chamber of Commerce (BeLuThai), in collaboration with the Australian-Thai Chamber of Commerce (AustCham), the American Chamber of Commerce in Thailand (AMCHAM), British Chamber of Commerce Thailand (BCCT), Thai-Canadian Chamber of Commerce (CANCHAM), German-Thai Chamber of Commerce (GTCC), Netherlands-Thai Chamber of Commerce (NTCC), New Zealand-Thai Chamber of Commerce (NZTCC), Singapore-Thai Chamber of Commerce (STCC) and South African-Thai Chamber of Commerce (SATCC) would like to invite members and guests to attend a Joint Chambers Eastern Seaboard Networking. The event is organized by German-Thai Chamber of Commerce (GTCC). Join us to get connected with relevant contacts of your industry. Unwind and enjoy a relaxing evening at Pullman Pattaya Hotel G with finger food and free flow of beer and wine. This is a business networking event and all are welcome irrespective of nationality of individual or company. On Friday, 26th April, there will be *a free seminar* before Eastern Seaboard Networking hosted by GTCC. The topic is The challenge at the press shop of today: The road to the digital future with Schuler Intelligent networking in the smart press shop with Mr. Rolf Wittlinger., the Director of Schuler (Thailand) Co., Ltd,. Machines and robots that talk to each other; components whose production conditions can still be traced in detail years later; software that helps a press operator to start up a system step by step; or a “Digital Twin” which makes it possible to simulate all functions on the computer – all this is already a reality in the Smart Press Shop, Schuler’s answer to the Industrial Internet of Things. However, the future offers much more: in the fully networked press plant it will soon be possible to precisely predict potential downtimes thanks to sophisticated sensors and actuators as well as the data collected this way, and to avert these downtimes in advance. This ensures our customers’ productivity, increases the quality of the manufactured parts and reduces energy requirements. Mr. Rolf Wittlinger has been working at Schuler Group for 36 years. He had held various positions within the design department. Since 2008 he has been the Director of Services for the Schuler Group in Asia/Pacific. Additionally, Mr. Rolf Wittlinger has held the position as Director of Schuler Thailand Co., Ltd since May 2011. Schuler is the world’s leading manufacturer of sheet metal forming lines. Whether automated mechanical or hydraulic system solutions – our lines enable you to manufacture a wide range of parts flexibly and efficiently in top quality. Not least thanks to innovations such as ServoDirekt technology. Schuler presses can be quickly adapted to changing production conditions and, thanks to short die change times and the latest automation technology from our own company, ensure maximum output. The result: Forming systems with which you can easily withstand the supply pressure in the industry, and high-quality components with which you will convince even the most demanding customers. Time: 16.00 – 17.30 hrs.